Vancouver Optometrist, Dr. M.K. Randhawa, on nutrition for eye and vision health and disease prevention. A new study published in the American Journal of Ophthalmology looked they way that healthy diet impacted the risk of developing visual impairments over 10 years. Many studies have looked at the link between specific nutrients and eye diseases. For example, click here for a summary of some widely studied nutrients. What is new about this study is that it look at overall deit rather than focusing on isolated nutrients. The purpose of the study was to assess whether adherence to dietary guidelines at baseline is associated with the incidence of visual impairment among older persons after 10 years. The study took 3654 people in Australia and examined them to establish a baseline regarding their diet and eye health. The researchers then examined this group again after 5 years and 10 years. The researchers found that compliance to dietary guidelines was associated with a decreased long-term risk of visual impairment in this sample of Australians aged 65+ years. Overall quality of diet was correlated to a 40% reduction in the long-term risk of visual impairment among people 65 years of age or older. The components of a healthy diet that the authors looked at are well known and are a matter of common sense for most people: lots of vegetables, legumes, and fruit, healthy choices such as whole grains, lean meat, reduced fat milk; lower intakes of saturated fats, sodium, sugar, alcohol and lower intakes of junk food that is high in calories but very low in nutritional content. Is the Western (American) diet bad for your eyes? Is the Western diet bad for your eyes? A new study suggests that the Western diet increases the risk of developing age-related macular degeneration. 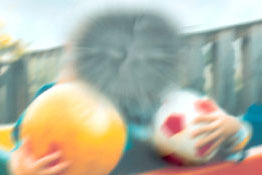 Age-related macular degeneration (AMD) is the leading cause of blindness in people over the age of 50. When you loose your vision to AMD, you never get it back. The disease can seriously impact your quality of life. Here is an example. Researchers have identified certain nutrients such as Lutein and zeaxanthin to help reduce your risk of developing AMD. It is good advice to eat one cup of colorful fruits and vegetables such as broccoli, spinach, kale, corn, green beans, peas, oranges and tangerines four times a week. The new study, which was published in the American Journal of Ophthalmology, looked at dietary patters such as the "Western" diet compared to the "oriental" diet and sought to determine which diet was connected to a higher risk of developing AMD. The Oriental dietary pattern was characterized by higher intake of vegetables, legumes, fruit, whole grains, tomatoes, and seafood. The Western dietary pattern was characterized by higher intake of red meat, processed meat, high-fat dairy products, French fries, refined grains, and eggs. The researchers concluded that overall diet is significantly associated with the odds of AMD and that dietary management as an AMD prevention strategy warrants further study. This is the latest in a large body of research linking diet and nutrition to eye health. 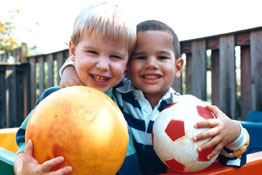 You can learn about others by browsing through the older posts on this blog. This common cause of glaucoma is found everywhere in the world, but is most common among people of European descent. In about 10% of the population over age 50, a whitish material, which looks on slit-lamp examination somewhat like tiny flakes of dandruff, builds up on the lens of the eye. This exfoliation material is rubbed off the lens by movement of the iris and at the same time, pigment is rubbed off the iris. Both pigment and exfoliation material clog the trabecular meshwork, leading to IOP elevation, sometimes to very high levels. Exfoliation syndrome can lead to both open-angle glaucoma and angle-closure glaucoma, often producing both kinds of glaucoma in the same individual. Not all persons with exfoliation syndrome develop glaucoma. However, if you have exfoliation syndrome, your chances of developing glaucoma are about six times as high as if you don´t. It often appears in one eye long before the other, for unknown reasons. If you have glaucoma in one eye only, this is the most likely cause. It can be detected before the glaucoma develops, so that you can be more carefully observed and minimize your chances of vision loss. A new study published in the journal JAMA ophthalmology investigated the connection between intake of vitamin B6, vitamin B12 and folate and risk of developing exfoliation glaucoma. The study found not impact on exfoliation glaucoma risk from taking vitamins B6 and B12. Folate intake was found to reduce the risk of exfoliation glaucoma. 2014 Optometrist of the Year! A new study published in the journal Clinical Ophthalmology concluded that dietary supplementation with a combination of omega-3 essential fatty acids and antioxidants was an effective treatment for dry eye disease related symptoms. The patients in the study took a neutriceutical formulation supplement 3 times a day for 12 weeks. The researchers measured their dry eye symptoms (scratchy and stinging sensation in the eyes, eye redness, grittiness, painful eyes, tired eyes, grating sensation, and blurry vision) before and after the 12 weeks of supplementation. There was a decrease in the percentage of patients in which dry eye symptoms predominated nearly all the time (53.5% versus 34.1%). A total of 68.1% of patients reported better tolerance to contact lenses after treatment. Dietary supplementation was safe for the vast majority of patients in this study. 70% of them did not report any adverse events when they took the supplements. The most common adverse event was not very serious and is familiar to anyone taking omega-3 supplements - a "fish-tasting regurgitation" was experienced by 13.5% of patients. Other adverse events include the following: nausea in 4.9%, diarrhea in 1.3%, and vomiting in 0.3%. Supplementation appears to be an effective treatment for dry eye sufferers and appears to improve contact lens comfort in addition to reducing dry eye symptoms.